The ALLEA Board consists of eleven members, elected by the General Assembly, including Vice-Presidents and the ALLEA President who chairs the Board. The Vice Presidents are elected from among the members of the Board. 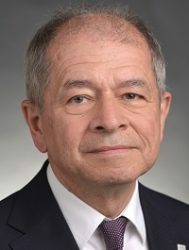 President of ALLEA Professor Antonio Loprieno assumed the Presidency of the European Federation of Academies of Sciences and Humanities, ALLEA (All European Academies), in May 2018. He additionally serves as President of the Swiss Academies of Arts and Sciences. Antonio Loprieno studied Egyptology, linguistics and Semitic studies at the University of Turin in Italy. In the 1980s, he taught at various European universities, including the University of Göttingen in Germany and the University of Perugia in Italy. From 1989 to 2000, he was Professor of Egyptology at the University of California Los Angeles. He served first as Professor at the University of Basel from 2000–2006 and then as Rector from 2006-2015. 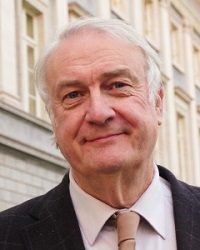 Among other positions, he was President of the Rectors’ Conference of the Swiss Universities (CRUS) from 2008–2015, and holds the Presidency of the Austrian Science Board (Österreichischer Wissenschaftsrat). Oliver Jens Schmitt studied Byzantine studies, Modern Greek studies and Eastern European history in Basel, Vienna, Berlin and Munich, and holds a Ph.D. by the University of Munich. His research foci include fascism in Eastern Europe (with a focus on Romania) in the framework of comparative fascist studies, eastern Mediterranean urban societies in the 19th century, society and politics in the late Ottoman Empire, among others. 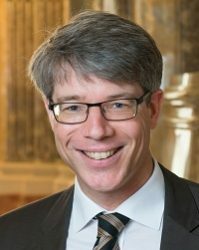 He has been Professor of Southeastern European history at the University of Vienna since 2005, and since 2017 he also serves as President of the Division of Humanities and the Social Sciences of the Austrian Academy of Sciences (ÖAW). 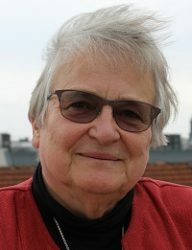 Susanne Albers is Professor of computer science at the Technische Universität München. She studied mathematics, computer science and business administration at the University of Osnabrück. 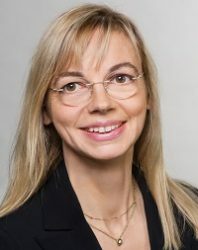 Thereafter, she moved to Saarland University and the Max Planck Institute for Informatics, first as a Ph.D. student and subsequently as a senior researcher. Her research interests are in the field of efficient algorithms. The focus of her scientific work is the design and analysis of online and approximation algorithms. She was awarded the Gottfried Wilhelm Leibniz Prize in 2008. In 2016 she received an ERC Advanced Grant. She is a member of Leopoldina, the German National Academy of Sciences, and the Academy of Sciences and Literature in Mainz. Luke Drury has a degree in pure mathematics and experimental physics by the Trinity College Dublin, and a Ph.D. in astrophysics by the Institute of Astronomy, University of Cambridge. 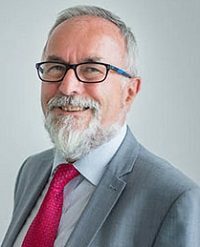 He has previously worked in the Max Planck Institut für Kernphysik in Heidelberg before returning to Ireland as Senior Professor in the Cosmic Ray Section. He was President of the Royal Irish Academy from 2011 to 2014. His research interests include plasma physics, particle acceleration, gas dynamics, shock waves, and cosmic ray origin. 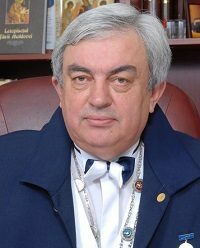 Gheorghe Duca is President of the Academy of Sciences of Moldova. He graduated from the Faculty of Chemistry of the State University of Moldova, where he also earned his doctoral studies in chemical sciences. He later pursued his postdoctoral studies at the Institute of Physical Chemistry of the Russian Academy of Sciences. From 1988-1992, Gheorghe Duca served as Head of the Physical Chemistry Department ot the State University of Moldova, and later as Director of the Research Center of Ecological and Applied Chemistry from 1991- 1998. Throughout his career, Gheorghe Duca has authored 1,565 edited works, including 624 scientific articles, 139 patents, 42 monographs, 25 textbooks and methodical works. Maarten Prak is Professor of Social and Economic History at the Department of History and Art History, Utrecht University, Netherlands. He is an expert of early modern history, having authored and edited several publications on Dutch national history, comparative history of Europe, and global history. His research work has focused on a wide range of topics, including citizenship, institutions, cultural industries, guilds and human capital. In the past, Maarten Prak has been visiting scholar at prestigious universities around Europe. 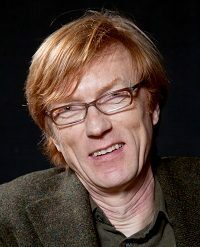 He chaired the Humanities Board of the Netherlands Organisation for Scientific Research NWO (2014-16), and he presently serves as a member of the governing board of the Royal Netherlands Academy of Arts and Sciences (KNAW). Paweł Rowiński holds a degree in computer sciences and mechanics with emphasis in applied mathematics by the University of Warsaw, and a doctoral degree in earth sciences with a specialisation in geophysics by the Institute of Geophysics, Polish Academy of Sciences. Among others, his research interests include mathematical methods in geophysics, geophysical flows, river hydrodynamics, and fluvial hydraulics. 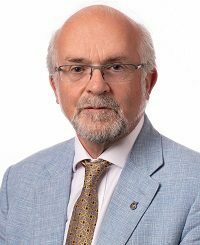 Paweł Rowiński has published more than 150 refereed scientific publications and one book on earth and planetary sciences, and he serves as Associate Editor for several prominent scientific journals and publications. 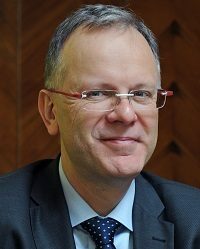 Since May 2015, he serves as Vice-President of the Polish Academy of Sciences. Pere Puigdomènech has a degree in Physics from the University of Barcelona, and a doctorate in biological sciences from the Autonomous University of Barcelona. His current field of research is Plant Molecular Biology and Genomics. He has published 150 scientific articles in refereed journals and books, 2 patents, 5 books on popular science and scientific fiction, and supervised 18 Ph.D. theses. He has published more than 500 articles on science in renown Spanish as well as international scientific journals. 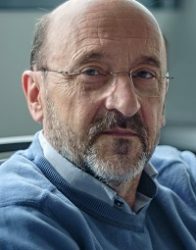 Puigdomènech has been a member of the scientific staff of the Spanish Research Council (CSIC) since 1981, and he presently serves as Research Professor in the CSIC’s Centre for research in Agricultural Genomics in Barcelona. March 2019: Brussels, Royal Flemish Academy of Belgium for Science and the Arts. May 2019: Bern, Haus der Akademie, hosted by the Swiss Academies of Arts and Sciences. September 2018: Berlin, Union of German Academies of Sciences and Humanities, German National Academy of Sciences – Leopoldina.